… or choose the right demo for your project! ….otherwise, why would he agree to be the voice for Nissan? No, I get it…these big companies need a REAL actor to give their multi-million-dollar campaigns distinction… not someone who’s worked at the craft of voiceover for years. Yes, I’m unabashedly jealous. However, in the spot they don’t SAY it’s Robert Downey Jr (just like Lowe’s doesn’t give Gene Hackman credit, or Hyundai doesn’t identify Jeff Bridges)..so, do Nissan and Lowe’s and Hyundai get a benefit from hiring a “NAME” to voice their spots? How many viewwers are REALLY good at identifying the voices on commercials? d) knock themselves out trying to identify the voice for the whole commercial, and miss the point of the spot. Either way, what’s with these advertising firms going for Hollywood actors’ voices? A REAL voice-actor like Doug Turkel or Thom Wilkins or Deb Grattan, or sheesh…any one of hundreds of qualified voices could do a better job for (probably) less than what Robert Downey Jr. is getting, and EVERYONE would be happier!…except Robert. That’s my highly-biased opinion. That’s my sour grapes. 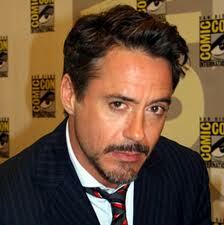 Yes, I enjoy watching Robert Downey, Jr. act. But was he really the right choice for Nissan? It’s rather disheartening to see these national commercials and major motion picture jobs going to all the big names that don’t add to the project but just feed the hype-train. Ohhh! My favorite actor is a voice in this animated film! Cool! I’d much rather have someone who is going to bring life to the character because they are aware of how to do that with a microphone. It’s not just about being a successful actor. Anyway, I look forward to hearing about major gig’s that actual Voiceoverists land. Thanks for blogging about this and a happy week to you! Excuse me, but Robert is a voice actor. If you have ever read any of his background info. you would know this already. He has done 3 other commercials. One for a computer company and 2 others for types of cell phones. Robert has also did the speaking on 4 documentaries. So, besides being a great actor, musician and director (on 3 films) he is also a voice actor as well. He is a “REAL” voice actor. Secondly, you do not know if Robert even was paid alot of money. He has one hybrid based car, maybe he just wanted another one as payment. No one knows – you sound like a jealous child. Two of the charities he supports are environmental ones. Robert also wears eco-friendly clothing and has been featured on the Sundance Channel. Do your research before you start slamming others. Sounds to me like you are just jealous because someone that does environmental work got a voice-over job, with good intentions. Grow-up. I’m sure Robert garnered his voice jobs by virtue of his screen accomplishments. A “REAL” voice actor doesn’t just jump to national commercials and cushy documentaries…he or she has usually paid his or her dues in the trenches for a few years. Oh wait, Robert HAS been in the trenches… actually more like the gutter. He must’ve grown that penchant for environmentalism while contemplating the grout between the block walls in his cell…2….3….how many times was he in jail?…for abusing HOW many types of drugs? Who needs to grow up? Robert is a gifted actor, all the more reason his attempts to waylay his own career seem particularly egregious. I could care less if Robert is environmental. I’ve voiced for the EPA. That doesn’t make me an environmentalist. The only thing Robert’s ever tried to save is his own skin. In the ecology of the VO marketplace, people work their tail off to rightfully earn their accomplishments. Yes, I AM a jealous child, because I’m quite sure I’ve earned mine. These clients get the benefit of a subliminal familiarity, a minor publicity buzz from the pairing and if the actor in question couldn’t handle the job, he/she ultimately wouldn’t be hired. Do people know or care that Jon Hamm is the voice of Mercedes? Generally, no. Would he have scored the gig had he not entered collective consciousness through “Mad Men?” Pretty doubtful. Does he rise to the occasion? Sure he does. The world is full of voice actors. Obviously these companies who pick up the tab feel they’re getting their money’s worth or you wouldn’t be hearing Michael Douglas, Kevin Spacey, Richard Dreyfus, Hackman, Bridges, et. al who do not work for scale. Let’s face it, you’re just jealous. And I don’t blame you. But be honest about it. Perhaps the producer feels the public would be more persuaded by a familiar voice that exudes comfort and reassurance. Example: Morgan Freeman’s narration of the Plight of the Emporer Penquins; Dennis Haybert with Allstate Ins., and Mike Rowe who seems to be doing everything at the moment including Ford commercials. Acting is acting. Robert is an actor. If you want his gigs, then be a better choice than he is. Whether he’s on screen, TV, or radio, he has a right to act and pursue his craft. Despite his well-publicized problems a while back, Downey’s a very talented guy who appears to have finally pulled himself together and has more than earned his recent success by doing some very good work — this campaign being no exception. – A true actor is as in command of his vocal performance as his onscreen physical presence. My wife and I play this game all the time, too…much like we enjoy picking out actors in new movies, and try to determine what other, previous movies they’ve starred in. I’m glad you stopped by to share! What type of Voice Over project will this be? Let us know what help is needed next! 3 Reasons Why It’s Important to Remember That Voice Actors Are People Too!